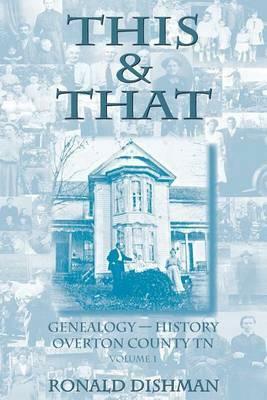 Ronald Dishman has painstakingly pieced together hundreds of wonderful articles and tidbits of information for historians and genealogists alike. His "This and That" book is chocked full of just that sort of interesting information ... this and that. From hand-written court documents, to fantastic old photos, Ronald has chiseled out great memories for all to share. Page by page, Ronald has saved and promoted pieces of family history for generations to come, proving that our past is just as valuable as our future.